Abuja – The zoning of the positions of Presiding officer for the 9th National Assembly has placed the ruling All Progressives Congress (APC) in an uncomfortable position and quagmire as discordant tunes now seems to have taken over and broken the unity purpose expected amongst members of the National Working Committee (NWC), of the party. Going by the different tunes from members of the APC NWC, it is clear that they are not in sync over the zoning arrangement by the Party with regards to the Presiding officers of the National Assembly. While the office of the president and vice president are presently occupied by candidates from the North-west and South-west geo-political zones respectively, the position of the President of the Senate has been technically zoned to the North-east which majority of Party members are not complaining about. However, the position of the Speaker of the House of Representatives which some of the party leaders want it zoned to the South-west that already has the office of the vice president is being challenged by other members of the APC and some of its National officers. Pointedly, the Deputy National Publicity Secretary of the APC, Mr. Yekini Nabena, added his voice to the dicey issue as he called on the party’s leadership to ensure equity and balance in the distribution of positions of the National Assembly. Nabena said the zoning arrangement for the Senate President, Deputy Senate President, Speaker and Deputy Speaker of the House of Representatives in the incoming 9th National Assembly should reflect the remaining four geopolitical regions of the country. Nabena told journalists in Abuja on Tuesday, that if the party does not get it right now, 2023 elections might turn out to be a free fall all in the ruling party. 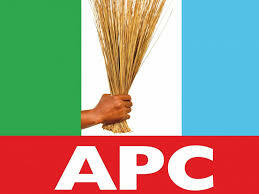 According to him; “The APC has elected National Assembly members from all geopolitical zones of the country. Hence, the party’s leadership and indeed the presidency must take deliberate efforts to provide a fair and justifiable zoning arrangement for the 9th National Assembly leadership. The Bayelsa born APC Chieftain, noted that the APC NWC under the leadership of Comrade Adams Oshiomhole, has already zoned the Senate Presidency to the North-east. In the words of Nabena: “The Deputy Senate President should be zoned to the South-south while the Speaker and Deputy Speaker of the House of Representatives should be zoned to the North-central and South-east in any order agreed by the party’s leadership.